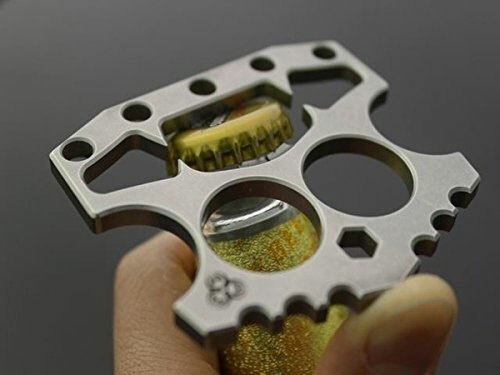 Here is a tactical flashlight small enough to fit in your pocket that delivers blinding light to protect you. 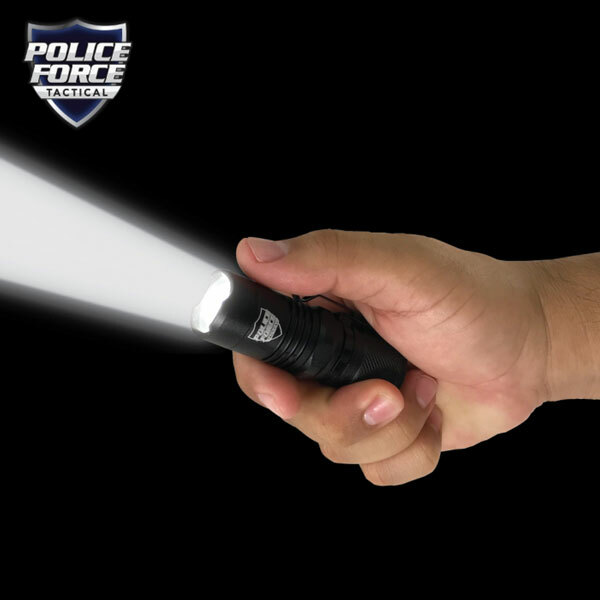 The Police Force Mini Tactical L2 LED Flashlight measures a bit over 3 inches long. 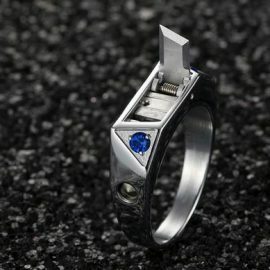 It has a military grade aluminum alloy construction and water resistant body. 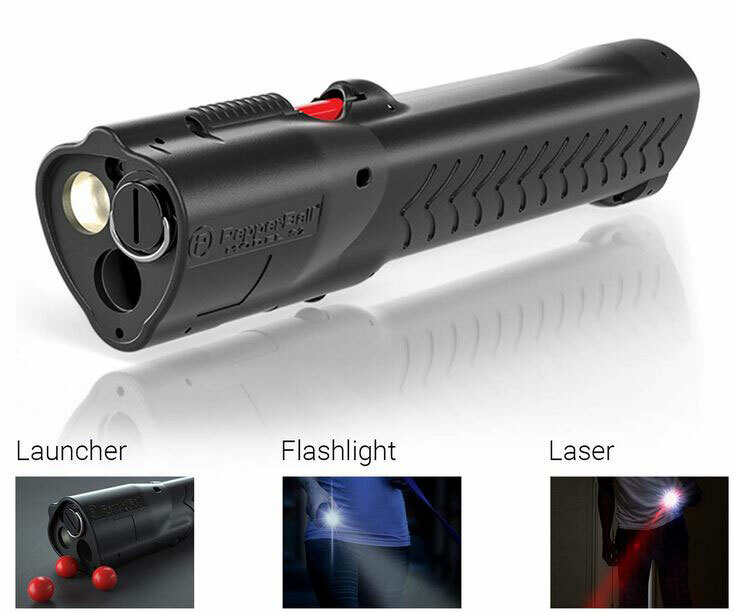 The flashlight offers 1000 lumens of light. It has 3 light modes (high, low, and flashing). 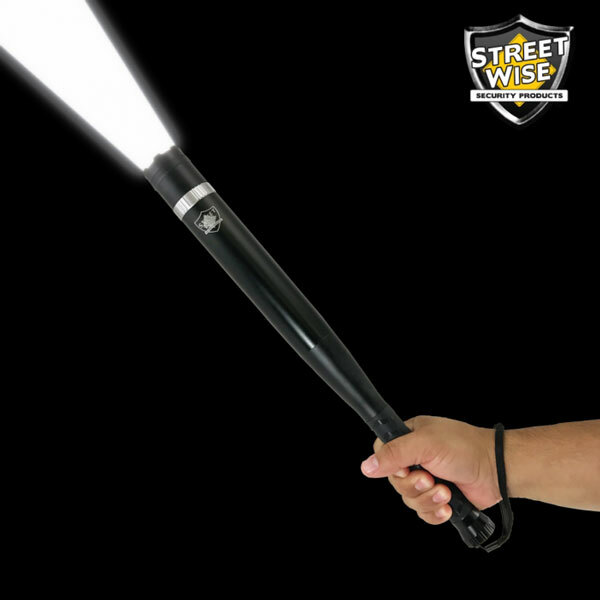 This flashlight weighs only .59lbs.